Briton Page studied Spanish and Business at Utah State University where he ran track and was one of the top 25 fastest 800m collegiate athletes in the nation. His initial (and short-lived) career plan was to take over the family dentistry with his grandpa, dad, and uncle. After abandoning his original plan of becoming a dentist, Briton honed his business skills into the digital marketing niche to help these healthcare markets grow. 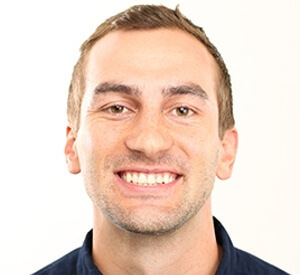 In his current role, Briton is a Digital Marketing Manager for Solutionreach in Lehi, Utah. He is in charge of everything from PPC to SEO and CRO. Briton has increased sales through PPC by 54%, organic traffic by 35% and time spent on site by 50%. In his spare time, Briton plays in feisty pickleball matches with his wife Brianna, builds and flies model planes, goes snowboarding, running, and frequents his cabin in the Uintahs.